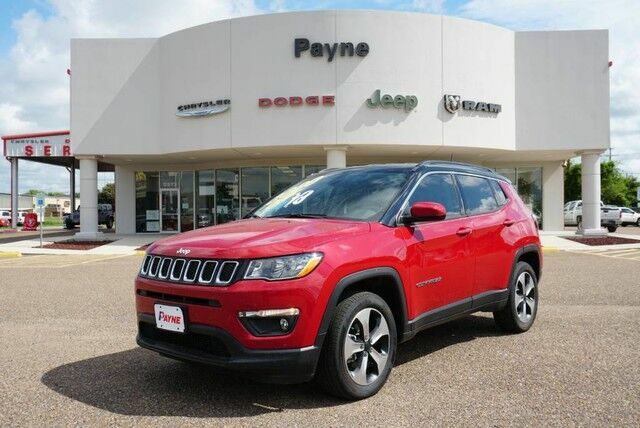 This outstanding example of a 2018 Jeep Compass Latitude is offered by Ed Payne Motors. Want more room? Want more style? This Jeep Compass is the vehicle for you. Start enjoying more time in your new ride and less time at the gas station with this 2018 Jeep Compass. Handle any terrain with ease thanks to this grippy 4WD. Whether you're on a slick pavement or exploring the back country, you'll be able to do it with confidence. This Jeep Compass is equipped with navigation, so you no longer have to wonder if you're headed in the right direction.